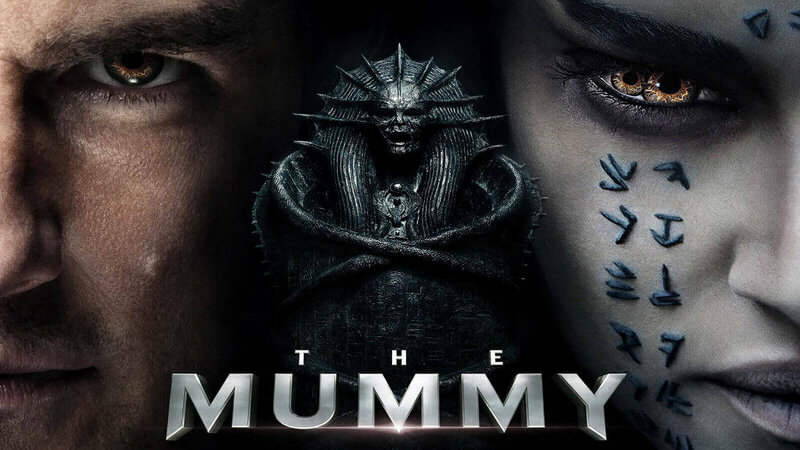 I hadn’t meant to watch the 2017 film, The Mummy starring Tom Cruise and Annabelle Wallis, but I recently read a brief blurb that the “flagship” of Universal Studio’s Dark Universe line of films, which were meant to reprise and update the original Universal Classic Monsters series of movies, wasn’t all that bad. Okay, I’ve also recently written a short story I plan to submit for possible publication about an ancient, evil woman in Egypt, so the topic was on my mind. Usual pattern, though in this case involving an ancient Egyptian Princess rather than a Prince or Priest (male figure). Heir to her father’s throne, Ahmanet is the favorite of her dear father, that is, until his wife bears him a son. Naturally, in Shakespearean manner, Ahmanet plots her revenge by making a deal with the god of death Set, who grace’s the lithe form of actress and dancer Sofia Boutella with cool tattoos. Then she murders her father, mother, and her infant brother, but that wasn’t enough. No, she is going to sacrifice her lover with a magic, ceremonial dagger to turn him into Set incarnate (who knows why). Fortunately, before that, unknown men stop her, take the dagger, and entomb her alive far from Egypt, in what is now known as Iraq. This doesn’t escape the notice of Dr. Henry Jekyll (Russell Crowe) 5,000 years later, when he discovers at the recently unearthed burial ground of knights of the second crusade, that they had found Ahmanet’s tomb and brought the dagger back to England as spoils of war. The mystic jewel on the dagger’s hilt was separated from the blade and buried with one of the knights. Jekyll sends one of his operatives, Jenny Halsey (Wallis) to manipulate a soldier Nick Morton (Cruise) and his companion Sgt. 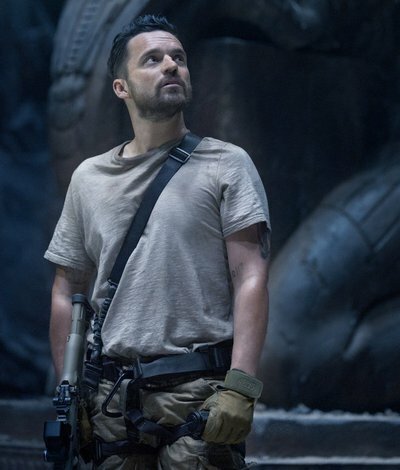 Vail (Jake Johnson) into locating the tomb for them. Of course, all of this is hidden from our reluctant heroes and the audience at first. Vail dies when consumed by the Mummy’s curse on an air transport back to England, but his decaying ghost keeps showing up with sometimes humorous results (and kudos to Johnson for this). Afterward, we continue to be treated to Cruise-style action adventure and lots of stunt work with a supernatural overlay. Since this movie was supposed to be a tie-in with all the other Universal Horror films, we see lots of Easter Eggs involving “The Creature from the Black Lagoon,” “Dracula,” Frankenstein,” and others. But Jekyll really does turn into Hyde, battling a very confused Morton who is also cursed and seems doomed to die either by Ahmanet’s hand or Jekyll/Hyde’s. I found the whole “Dr. Jekyll and Mr. Hyde” subplot more distracting than illuminating, but again, this was to tie into a larger monster universe. Really, how would she know about “times” and that committing patricide and infanticide were no longer legitimate means to ascend to the throne? There is no “reality” in this film. The Egyptian legends and gods are all wrong, and the use of mercury as a Mummy inhibitor should have killed everyone around her, but this is entertainment and fantasy, not a history lesson. It was mainly Johnson’s performance that saved the day. I thought I recognized him from other movies, but as it turns out, I’d only seen him in a relatively minor role in the 2015 film Jurassic World. He also played the voice of Peter B. Parker in last year’s Spider-Man: Into the Spider-Verse, which I loved. So if you’ve got a couple of hours to kill and you want to watch a Tom Cruise action film, you’ll probably be moderately entertained by “The Mummy.” Personally, I’d recommend the 1996 movie Mission: Impossible which co-stars one of my Hollywood favorites Jon Voight alongside Emmanuelle Béart, Jean Reno, Ving Rhames, and Vanessa Redgrave. Totally with you on the Mission Impossible, even if it was Cruise but he was OK in it IMO. I did like him in The Last Samurai though. I’m not a TC fan, and you saying about the decaying ghost reminds me somewhat of An American Werewolf in London where every time his friend appears, a bit more of him is ready to drop off. Actually, it was taken from “An American Werewolf in London,” so you’re spot on there. I don’t know how available old-style glass thermometers are lately, but it was impressed upon me, as a child, that a broken thermometer’s splattered content was a real threat to health and safety. Kids (or anybody) can get some “funny” ideas from adventurous or scary movies. And if someone would think mercury a toy a la throwing water on a witch — as in The Wizard of Oz — that could be disastrous. Today, I’m pretty sure all of the thermometers are digital. Just swipe one across the forehead and you’ve got the temp. No toxic risk at all. Which ones are those? What’s in them? I’m a little perplexed by this article saying LEDs were almost unheard-of. By 2014, my light bulbs throughout were either incandescent three-ways or LEDs. I’m in agreement with you, LEDs have been around for quite some time. I believe the ones in question are a new design, possibly with newer components. The ones that I’m concerned mostly with are the “curly” type bulbs. Thanks. I think I’ve bought two curly bulbs in my life. I don’t like them. I’m not sure I ever knew they have mercury in them — until I read those articles last night. Haven’t seen this rendition yet – I don’t have any intention either. I really like the Brandon Frasier movies best. I like the Brendan Frasier version myself.